Starting at Only $45.00. Handgun Rental is Always FREE! Click On The Truck to Register for Training! Both In-Store and On-Line Shopping! 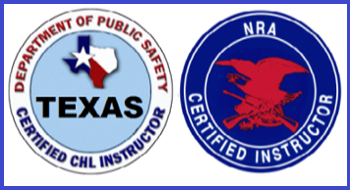 Looking for a CHL (Texas License to Carry) certification class in San Antonio? Our certified staff has over 50 years of combined teaching and Law Enforcement experience and is uniquely qualified in Texas CHL / License to Carry Certification. 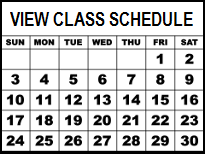 Our half-day Concealed Handgun Classes get San Antonio residents certified fast at extremely affordable rates. Protect your family today with training from TX DPS certified instructors! Congratulations to J. Roberts as our July 2018 drawing winner! See you soon! The GUN SHOP is OPEN! Shop for firearms, ammunition and supplies while on break during your Concealed Handgun training. Purchased firearms can be ready for use during your CHL course of fire! Many customers choose to get their Texas Concealed Handgun License, now known as Texas License to Carry as their first defense option. Our San Antonio CHL / License to Carry classes include all applicable range fees associated with the Texas Concealed Handgun License proficiency course of fire. Getting your License to Carry has never been more affordable! If you don’t feel you received quality training, we will gladly refund your money! That’s how confident we are in our training programs. Our veteran instructors have a minimum 10 years of experience in the classroom and anywhere from a Bachelor’s degree, up to a Master’s of Education degree.